Motorola Mobility’s new Moto E has LTE and a more powerful processor than its predecessor, but users will also have to make do with a low-resolution front camera that doesn’t measure up to ones offered on competing products. The upgraded Moto E’s arrival less than a year after the first version went on sale highlights the growing competition for unlocked smartphones costing $200 or less. It will start shipping on Thursday in 40 countries and cost about $150. 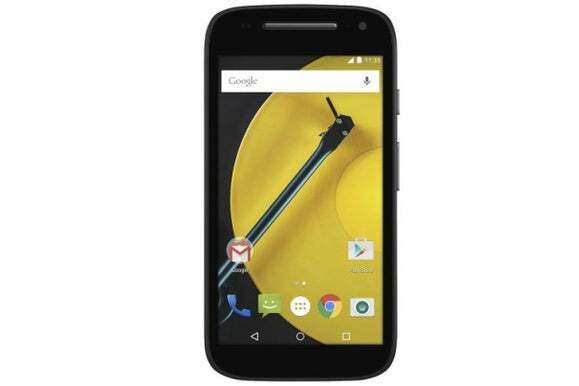 The new Moto E has a 4.5-inch, 540 x 960-pixel screen and a 1.2GHz Snapdragon 410 quad-core processor from Qualcomm. The original model has a 1.2GHz dual-core Snapdragon 200 processor and a 4.3-inch screen with the same resolution. There are smartphones that cost less than the Moto E but have an HD screen. For example, parent company Lenovo will start shipping its A6000 in India on Wednesday. It has a 5-inch, 720 x 1280 pixel screen and a $110 price tag. However, compared to products from vendors that are more well-known in Europe and the U.S., the Moto E holds its own. For example, Sony this week announced the similarly priced Xperia E4g, which has a 4.7-inch screen with the same number of pixels. Also, adding an HD screen to the Moto E would risk cannibalizing sales of Motorola’s best selling product, the Moto G.
The upgraded Moto E also features 1GB of RAM and 8GB of storage that can be expanded by as much as 32GB using a microSD card. It still has a 5-megapixel main camera and adds a front-facing VGA camera. The original model lacked a front-facing camera altogether, but the low resolution is still a let-down. The Xperia E4g has a 2-megapixel camera for selfies and so does the A6000. However, there is one area where the Moto E is ahead of the competition; while the Sony and Lenovo smartphones use Android KitKat, the Moto E comes with Lollipop. The Moto E will be upgraded to a future iteration of Android, but Motorola isn’t ready to promise an upgrade to M, the next major version of Google’s OS. Motorola’s caution with its bill of materials isn’t too surprising. The company has seen big improvements in unit sales, but is now under pressure to start making a profit. Lenovo expects that’ll happen within a year to a year and a half. 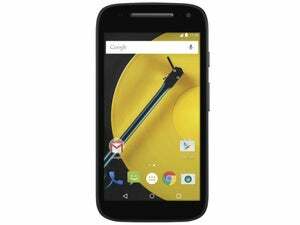 Motorola will also start shipping a 3G $120 version of the upgraded Moto E on March 3 in the U.S., Latin America and India. It lacks LTE and has a less powerful quad-core Snapdragon 200 processor under the hood.